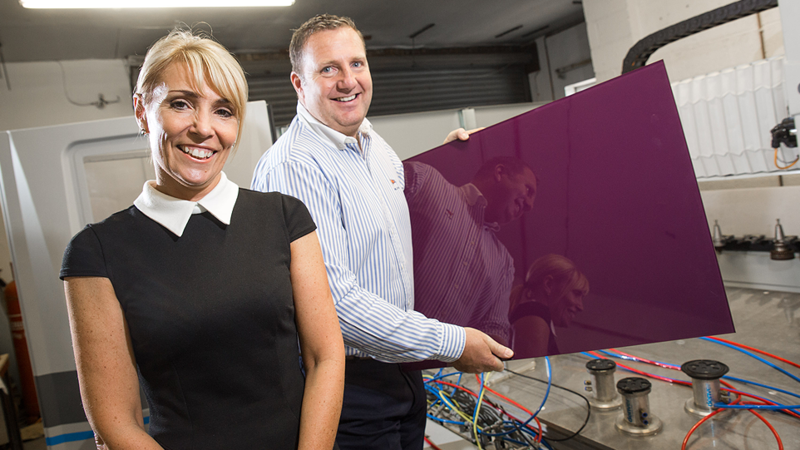 An integral part of the Yorkshire Glass & Glazing Industry, Royston Glass Ltd has been a leading supplier of Glass and Glass Processing Services for over 20 years. Having purchased the Company in 2008, Directors Andrew and Janette Rawson have implemented a business strategy which has seen the business continue to grow despite the challenges of a recession. Royston Glass quickly gained an enviable reputation as a manufacturer and installer of a myriad of bespoke glass products including balustrade, screens and splashbacks. Cultivating relationships with the key players in the Home Building, Renovation and Kitchen & Bathroom Industries (such as Symphony Group, Strata Homes, Beal Homes and Wren Living), Royston Glass has been able to keep its finger on the market pulse and responded to the demands of a now thriving glass market. Its products provide customers with the best that is available now, whilst seeking to provide inspiration for the future. Passionate about cutting edge design Royston Glass is perfectly suited to respond to the ever changing modern world. Textured Glass Design by Royston Glass range is the brainchild of both Directors. Seeing the bespoke arm of their business take-off, and aware of the trend for texture in high-end fashion and interior design, they spearheaded the research and development of this truly extraordinary product range. Investing in up to the minute manufacture processes and integrating these with highly bespoke artisan manufacturing techniques, this unique and beautiful range crowns an already highly diverse offering from this ‘punches above its weight’, family run business. Royston Glass has extended nationwide, offering delivery and a full Template & Installation Service across the country, which means that the company can offer their expertise and exceptional product range to more people than ever before.